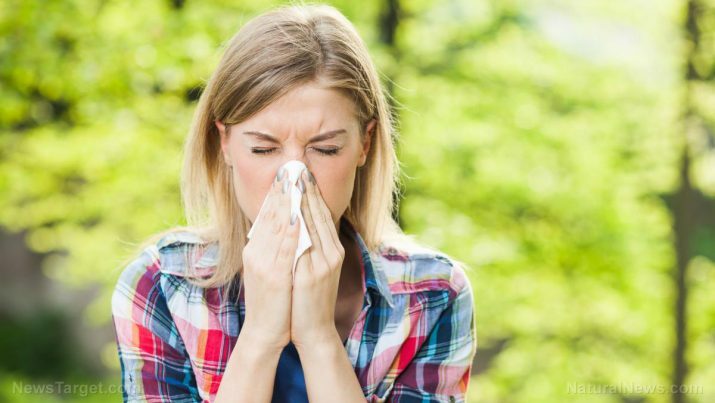 Phenylephrine is a drug used to relieve nasal discomfort due to allergies, colds, and hay fever. The drug is also used to relieve sinus congestion and pressure. In some cases, the drug can be used to increase blood pressure to help diagnose heart murmurs. Phenylephrine may relieve symptoms but it can’t treat the cause of the symptoms or hasten a patient’s recovery. The nasal decongestant phenylephrine also belongs to a class of drugs called vasopressors that work by minimizing the swelling of the blood vessels in the nasal passages. Dangerously high blood pressure – Symptoms may include anxiety, blurred vision, chest pain, confusion, ringing in the ears, seizure, severe headache, trouble breathing, or an uneven heart rate. An overdose of phenylephrine may cause complications like an allergic reaction. Signs of an allergic reaction may include difficulty breathing; hives; or the swelling of the face, lips, tongue, or throat. Dong quai/Female ginseng (Angelica sinensis) – Used as an antihistamine and anti-inflammatory. Eyebright (Euphrasia officinalis) – Eyebright helps reduce congestion and secretions. The herb is used to treat excess mucus, itchy eyes, and sneezing. Gingko (Gingko biloba) – Gingko, which has bioflavonoids and antioxidants, is used as an anti-inflammatory. Milk thistle (Silybum marianum) – Milk thistle helps support liver function and it is used to reduce allergic, inflammatory, and histaminic reactions. Red clover (Trifolium pratense) – This strengthen’s the body’s resistance to allergies. Stinging nettle (Urtica dioica) – Used as a natural antihistamine and anti-inflammatory. Yarrow (Achillea millefolium) – Helps reduce congestion and secretions. Apples – Apples and apple cider vinegar (ACV) can both be used to treat headaches since they help restore the acid-alkaline balance in the body. To relieve sinus headaches, combine half a cup of ACV and half a cup of water. Boil the mixture in a covered saucepan. Remove from heat, hold a towel over your head, then slowly inhale the steam. Basil – Basil is a natural remedy for headaches that offers various analgesic benefits. Basil oil functions as a muscle relaxant and it can ease headaches caused by tension and tight muscles. Make a tea by adding three or four fresh basil leaves in one cup of boiling water. Let the mixture simmer, then add some honey before drinking. Ginger – Ginger helps reduce inflammation of the blood vessels in the head. Make some tea by steeping ginger root. Drink ginger tea once or twice daily. Cough and Cold Syrups: Why Bother? Phenylephrine is a drug used to relieve nasal discomfort due to allergies, colds, and hay fever. Phenylephrine may cause common side effects such as appetite loss, headaches, severe dizziness. An overdose of phenylephrine may cause complications like an allergic reaction. Dong quai, eyebright, gingko, milk thistle, red clover, stinging nettle, and yarrow, which can help treat allergy and hay fever symptoms, have similar effects to phenylephrine. Apples, basil, and ginger can help prevent the side effects associated with phenylephrine, such as headaches.